Being Retro: OCTOBER: THEY MAY DO MORE FOLK DANCING! 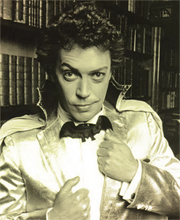 Timothy James "Tim" Curry (born 19 April 1946) is an English actor, singer, and composer, known for his work in a diverse range of theatre, film, and television productions, often portraying villainous roles or character parts. 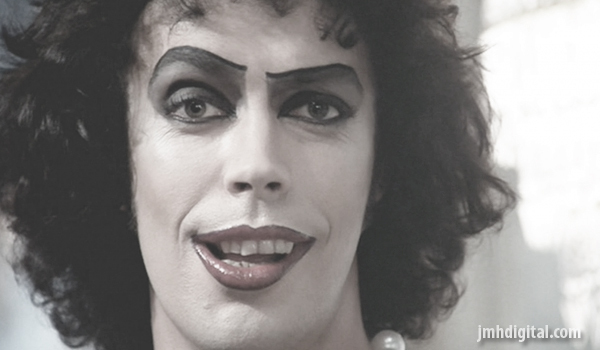 Curry first rose to prominence with his portrayal of Dr Frank-N-Furter in the 1975 cult film The Rocky Horror Picture Show, reprising the role he had originated in the 1973 London and 1974 Los Angeles stage productions of The Rocky Horror Show. Curry garnered further acclaim for his film and television roles; as Rooster in the 1982 film adaptation of Annie, as Darkness in the fantasy film Legend, as Wadsworth in the mystery comedy film Clue, as Pennywise in the 1990 horror miniseries It, and as Nigel Thornberry on the animated children's television series The Wild Thornberrys. His other stage roles include Wolfgang Amadeus Mozart in the 1980 Broadway production of Amadeus and King Arthur in Broadway and West End productions of Spamalot from 2005 to 2007. His best role was Darkness. He made for a really awesome devil. He's a wonderfully talented actor and underrated. I always thought Buster Poindexter played Pennywise, so it's good to know I was wrong.